When writing your interview, write to the dream of your customer. If you are a practitioner who provides great care to your patients, tell us how you do it. By writing a horror story you can agitate a customer’s fears and concerns. This can position your services as an ideal solution. This can simply be done by sharing a very brief story about what a customer’s life was like before working with you. Demonstration that you can fulfill your promise is vital. Share success stories. Interviews offer a great opportunity to have customers primed and ready to purchase your services. After all the readers are voluntarily giving their time to read about you. Why not help them along the way by providing valuable information about your products and services. Take your time to review and bounce your interview off of a friend or two. Getting outside feedback will help you put your best foot forward. Then when we go to print you will get exactly what you want. Anyone who takes the time to read your interview should walk away learning or feeling differently about the experience than before they read the interview. Ideally they have a positive experience and have gained something of value. Adding a little humor to your interview can be a real treat for readers. To begin with they won’t necessarily expect it and secondly it’s a great way to make friends. Note: Use of humor can be used both in question and or response. In a recent phone interview with a local Chiropractor, I asked him how much he liked his job. He then disclosed to me that he loves his job so much that he has actually been walking through Costco, seen someone improperly lifting a heavy box, stopped them on the spot and offered suggestions on how to undertake the task more safely. That’s how much he loves his job! the professional organizer that told me about what really happens when 300 Professional Organizer descend on one hotel for a weekend super conference, now that was funny. Many people may shy away from claiming ownership to a town and community that they have just moved to. My suggestion don’t be a stranger – JOIN UP! When you take ownership within your community your community will take ownership of you as well. I Love Ashland! By taking ownership in your community you also refer and reference things as a local might. You might want to smooth your interview out to eliminate all localisms but before you backspace give it a second thought. Local slang can be as broad as “The Bike Path” or “heading over to the Kart for some Dagoba”. 21) BONUS: Thank The Community For Your Success. Finally we wouldn’t be here if it wasn’t for all our friends, neighbors and community members who have faithfully supported our business. Thanks everyone for all your support. I hope you have enjoyed these tips. 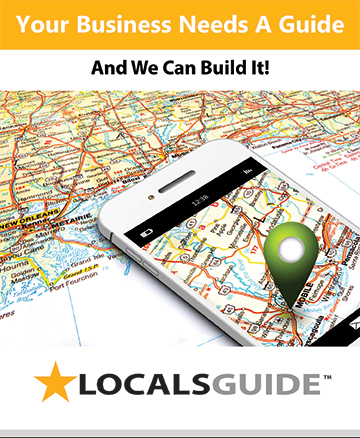 If you want to view all 20 tips simply visit LocalsGuide.com and click “PROFESSIONAL”. The creation of a strong print interviews can mean the difference between an interview that sells and an interivew that doesn’t. Here are a few tips and tricks to implement when writing your next print interview. As they say, talk is cheap so make sure to include real life examples, stories, and testimonials into your interview which demonstrate you know what you are doing. Jimmy Kolker, owner of the Blue Giraffe Spa, did it best in his column last month. “I am not a licensed massage therapist, nor am I an expert in body mechanics, but I do own a spa, and have received hundreds of massages. In fact, due to lower back problems starting in my 20s, I have had the full gamut of different kinds of massages and bodywork for over 40 years. So, I thought I would pass along my secret to having a “great massage”. Have you ever notice that individuals doing highly challengeing things often times make it look very simple. Sometimes trying too hard can actually make an interview repel readers. My best advice is to be yourself and relax. The best interview questions always open doors to which more questions can be asked.Remember to leave a little bit of mystery in your answer. An unanswered question can draw your audience in just a little bit closer and create more curiosity. Aesop knew this best. All great lessons are taught through stories. I saw this once demonstrated in a four page interview which I printed about a very unique form of counseling. Though the interview was not boring, it certainly was very technical and covered layers of nuance that anyone who maintained an interest by the fourth page would surely have been an ideal candidate. Identify who your ideal client is and then write for them. If you want a rocket scientist, write a manual for them. Remember to relax and write your interview with a conversational voice. Did you know that marketers intentionally write sales copy that have spelling errors and slang? Why do they do this? Because your friends write emails to you just like this all the time. Oftentimes some of the most interesting things to read about in a persons life are the unncessary personal disclosures or commentary. These comments and statements ellude to outside connections which pull and hold a readers curiosity. 10) What Is The End Goal? One of the first questions I like to ask is “What is your goal”. Are we conducting the interview to get more clients? increase public awarness? convey or share a message? Behind every interview can be a specific intent. Think about what you are wanting to accomplish and then use the steps above create a great interview.